Worst week of the year to be a tech fan. I don’t find any of the April Fool’s Week (née Day) pranks funny. I really enjoy typing on the iPad’s Smart Keyboard Folio but I really wish the keyboard was backlit. In low light environments it’s almost impossible to see the keys. Even though I’m very comfortable typing without being able to see the keys I still prefer the illumination of them so I can actually see the keyboard. Inspired by people like @manton I got an 11” iPad Pro last week to do more writing and other focussed activities like planning and documentation. Early days yet but I feel this could be the perfect device for doing just that. Devastating news about Keith Flint’s passing. The Prodigy have been a favourite of mine for a very long time. Had a ticket to see them play a month back in Melbourne but was too unwell to attend. I’m shattered. 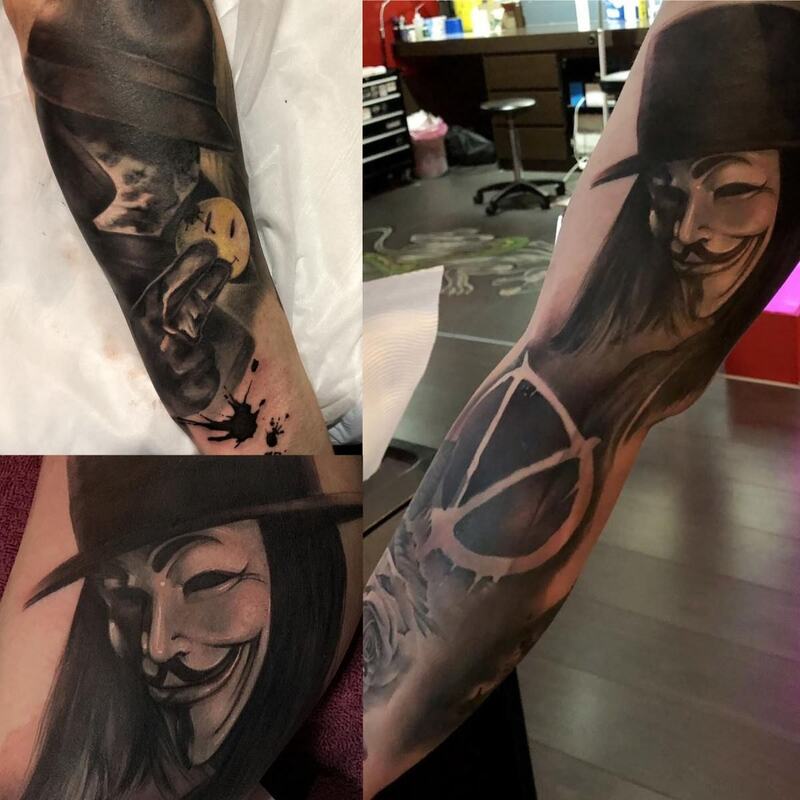 Day 3 of my V for Vendetta/Watchmen/The Punisher sleeve done! Absolutely loving the way this is looking so far, can’t wait to have it finished soon. Been playing a lot of The Witcher 3: Wild Hunt in my downtime recently. Sometimes you need to take a break from working and relax. Sweet, sweet respite. 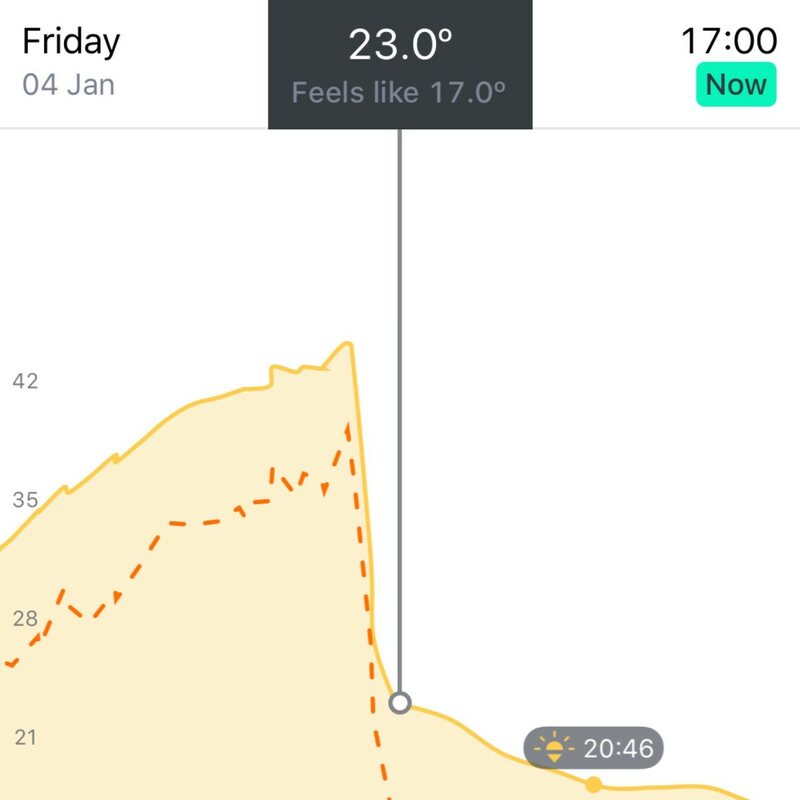 Today was a scorcher. John Sicarusa talking about CrashPlan on the latest episode of ATP reminded me that the cheaper period is just about up. I’m switching over to Backblaze as it serves my purpose just fine plus isn’t a disgustingly janky Java app. Just about to sit down for day 2 of my Watchmen/The Punisher/V for Vendetta tattoo sleeve. Dreading the inside upper arm - ahhh the things we do for art. If you dislike what Facebook is doing, continuing to use Instagram only helps prop up Facebook’s business. As much as I agree with Manton here, Instagram is the last of the social media networks that I use and keep connected with the outside world. Instagram is the only app on my phone that I have time limits set up on - no more than 10 minutes a day. I think the writing is on the wall though. 2019 is the year I quit Instagram for good.